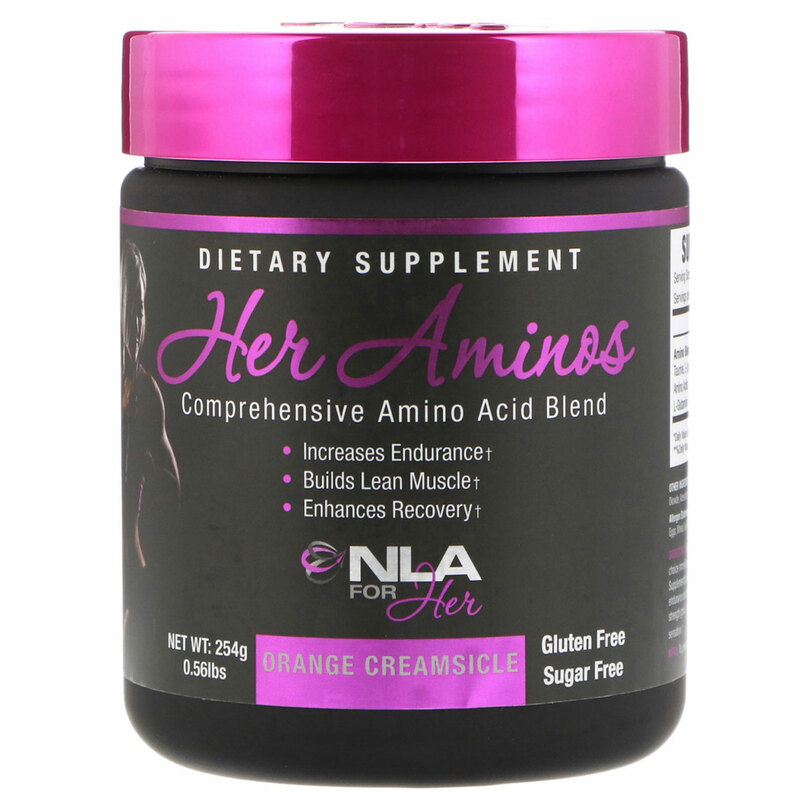 HER AMINOS is our blend of Amino Acids designed to be taken at any time of the day to fuel your muscles with nutrients that increase protein synthesis, help prevent catabolism, and enhance recovery. Supplementing with HER AMINOS on a daily basis will improve your recovery time in between workouts, allowing you to bounce back quicker from intense exercise and come back stronger the next session. Stack Her Aminos with Her Whey, Shred Her, and Uplift for maximal results in conjunction with a healthy diet and workout regimen. Mix 1 scoop with 6-8 oz of cold water or any beverage of your choice immediately upon waking, before, during, or after your workouts. Supplementing before, during, and after your workouts will enhance muscular endurance and prevent muscle wasting, promoting increased recovery and strength gains. The amino acid Beta Alanine may cause a slight tingling sensation. NOTE: To prevent settling, stir HER AMINOS and drink immediately. Citric acid, natural & artificial flavors, calcium silicate, silicon dioxide, acesulfame potassium, sucralose. Allergen statement: Manufactured in a facility and equipment that handles: Eggs, wheat, soy, milk, tree nuts, peanuts, soybeans, crustacean shellfish and fish. Do not exceed recommended dose. Pregnant or nursing mothers, children under the age of 18, ant he elderly and individuals with a known medical condition should consult a physician before using this or any dietary supplement. Product contains caffeine and naturally occurring caffeine, which may cause restlessness and sleep difficulty in some sensitive people. Keep out of the reach of children. Do not use if safety seal is damaged or missing. *Daily Value is based on a 2,000 calorie diet.